We accomplish this aim by cultivating a love for jazz through the study of its standard literature, its culture and history, its great artists, and the “hands-on” application of musical concepts central to the art form. Jazz at the Extension Division includes private lesson and ensemble instruction, as well as regular opportunities for participants to collaborate in faculty-led jam sessions, and to join or observe collegiate jazz program activities. The Rutgers Youth Jazz Ensemble is for students ages 11-18 who wish to develop their rehearsal and performance skills. Instruction in jazz theory and history are important components of RYJE rehearsals, which are intended to supplement instruction students receive from their private lesson instructors, and school music programs. The ensemble rehearses on a weekly basis November through April and culminates with an end-of-the-year performance during Rutgers Day. Chamber Jazz (jazz combos) offers jazz enthusiasts of all ages the opportunity to work in small groups (trios, quartets, quintets, etc…) to develop performance skills, and to explore a wide variety of jazz literature. As a part of the Chamber Music at Mason Gross program, participants have the opportunity to perform for one another in forums where they receive (and provide) peer feedback. Chamber Jazz meets 12 times per year on Sunday afternoons, October – April. Private lesson instruction is available from our outstanding Extension Division jazz faculty. Weekly instruction is available during fall, spring, and summer sessions are available. Trial lessons are available. 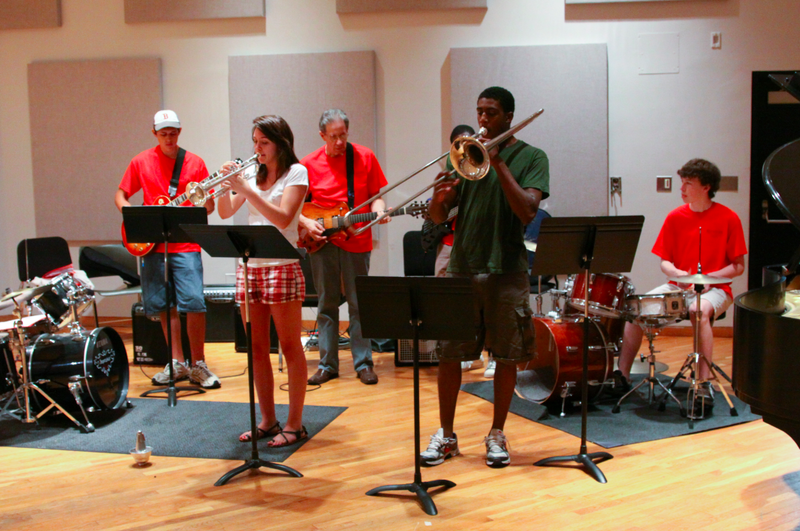 The Rutgers Summer Jazz Institute is an annual, week-long event held in July for young instrumentalists and vocalists, ages 11–18, who are interested in improving their jazz improvisation, small group, and large ensemble skills. Students work intensively in daily rehearsals with the internationally renowned, award-winning jazz faculty of Rutgers University’s Mason Gross School of the Arts.